This map works as a stand alone map or as an underground level for the previsouly released The Icon of Deception map. 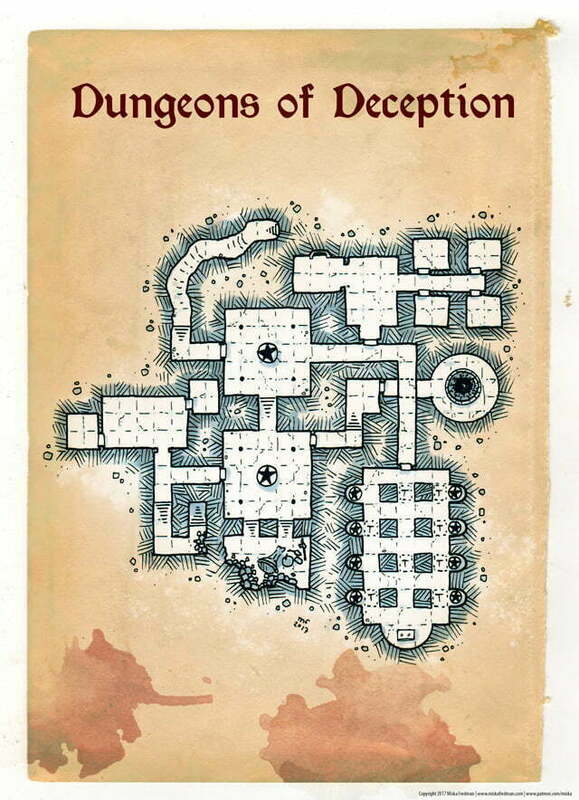 There are also stairs leading down, with allows this map to be connected with yet another dungeon level of your choice. I wanted to do this map in a more traditional OSR style with less details to leave more open interpretation and room for your own plans.